Size: approx. 20-30 mm. Photo: 10/05/11, 9 pm. This moth is a White-Eyed Borer Moth (Iodopepla u-album) and the only species in this genus in North America. 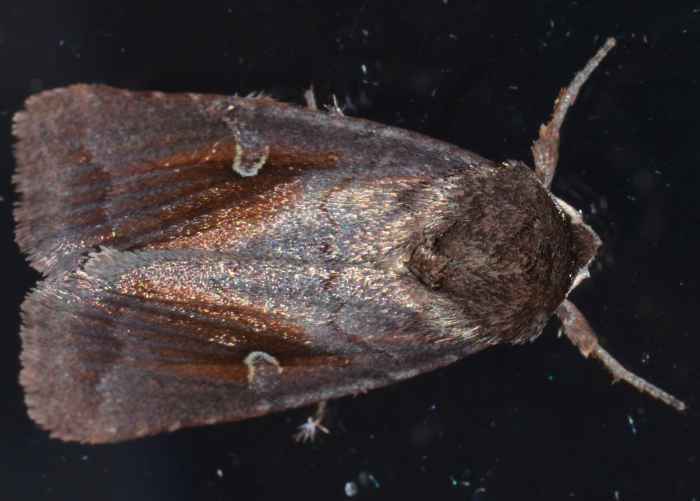 Adult moths fly from late March to October and throughout the year in Southern Florida.